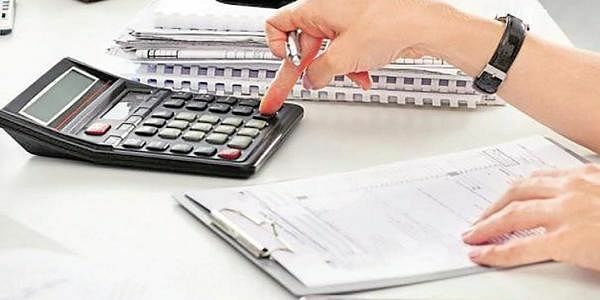 MUMBAI: with only 54 lakh businesses, out of the estimated 80 lakh, enrolling with the GST Network (GSTN), the infrastructure provider has decided to extend the deadline to register with it till April 30 from March 31. There are about 65 lakh registered value-added tax (VAT) assessees, 26 lakh service tax assessees and another five lakh central excise assessees, who are expected to register under the unified GSTN, which provides IT infrastructure and services for implementation of GST. It’s a private limited company with the central and state governments holding 49 per cent stake, while the remaining 51 per cent is with non-government financial institutions. “The voluntary enrollment process started six months ago and 73 per cent of the businesses have registered. We will be extending time till April 30, for the others to enroll,” Prakash Kumar, CEO, Goods and Services Tax Network told Express. He added that starting April, the central and respective state government tax departments will kick-start training campaigns to familiarise assesses on filing returns, which starts from August. However, small and medium enterprises, the backbone of the country’s industrial activity, await clarity on key aspects such as input tax credit. According to GST laws, input credit against taxes paid by the purchaser can be availed only if the seller deposits the said tax with the government treasury. In the event of non-compliance, the purchaser will be denied input credit. “There’s a need to de-link payment with the availability of input credit, which GST is capable of providing as it brings transparency and protection against tax evasion,” said Tejas Goenka, executive director, Tally Solutions. Meanwhile, small and medium businesses also want relaxation of audit considering the shortage of chartered accountants. “There are only 2.3 lakh CAs in the country, of which 40 per cent are not practicing and those who are serving cannot cope up with the increased demand. We requested the government to exempt MSMEs up to Rs 5 crore revenue for audit and also allow cost accountants, tax consultants and income tax assessors to audit financials for ease of use,” said Avinash K Dalal, national president and founder, All India MSME Association.